When I first moved to London in 1999 I had a tube map on the wall next to my front door. Every time I went to a new tube station I highlighted it on the map. The reason was because I was interested in where I’d been to in London; a city that I was, of course, exploring a lot. I never kept up with my highlighting. The longer I remained down here the less it mattered. But recently, with the 150th anniversary of the first tube service, I wondered just how many of London Underground’s 250 stations I’d been to. I didn’t highlight them on a map. I should have but I didn’t. But I came up with a list. 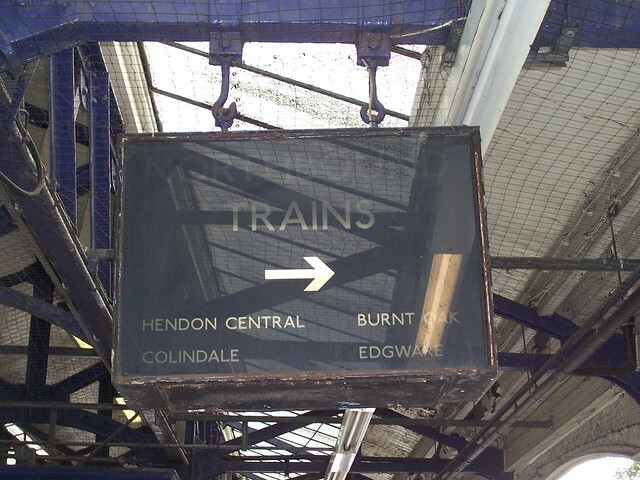 Invariably there were errors – stations I’d missed out because I’d forgotten I’d been there (hey, I’ve been in London for over 13 years – you can’t expect me to remember every station!) but the list I came up with looked pretty substantial. It’s a list of stations I’ve definitely stood on the platform for – although maybe not exited or entered. Not surprisingly it was focused on the West of London where I used to work and live, on the South West of London where I live now, and the centre of London where everything happens – there aren’t many Zone 1 stations that I’ve not visited at some point or other. On the other hand, there have been few forays out north or east, and I’ve never made it to Grange Hill where I’ve always wanted to go just so I can say I’ve been there. Well okay, there’s far better ways to celebrate. Like running a steam train down the tube tunnels. But this is the best I could do. Okay?